Georgia’s Senate has just passed HB 481, the Living Infants Fairness and Equality Act, which would make it illegal to abort – murder – an unborn child once a foetal heartbeat was detected. One would think in a sane age this would be obvious, with no need of an explicit law, but in a telling sign, the vote was ‘entirely partisan’, with every Republican voting ‘aye’, and every Democrat voting ‘nay’. Governor Brian Kemp, a Republican, has promised the sign the bill into law once it passes the state Senate. Certain vintage Hollywood actors d’un certain age – Alec Baldwin, Alyssa Milano – yes the one from that 80’s show – Rosie O’Donnell, Don Cheadle and Sean Penn – fifty of them in total, have all gone ballistic, signing a letter that reads, in part: We can’t imagine being elected officials who had to say to their constituents ‘I enacted a law that was so evil, it chased billions of dollars out of our state’s economy. One might scarcely find a more crystallized example of Christ’s warning, They will call good evil and evil good. I wonder about the human conscience – the heart depraved above all things, as we enter what Pope John Paul warned as a ‘barbarism which we thought we had left behind forever’. The washed-up actors have threatened to boycott Georgia, ‘chasing out billions of dollars’ in entertainment money, using what clout they might still yield. Millions of dollars, maybe, but billions? And why worry? Hollywood produces almost nothing but unpalatable mush for the masses, and maybe this bill would have the added good of prompting them to up their game. Sadly, as the article concludes, there is not much chance the law, if passed, will ever take effect, for it will be declared ‘unconstitutional’ in light of the Supreme Court precedent of Roe v. Wade, as other similar state laws have been. The Americans have to put that truly ‘evil’ decision out of its near-fifty year misery. We may yet hope. Unplanned, the story of Abby Johnson, former Planned Parenthood employee-turned-Christian-pro-lifer, is doing well at the theatres, but may only convince the already convinced. 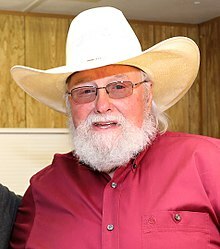 God bless good ol’ boy Charlie Daniels, and would that more of our hierarchy were so forthright. Ironic, given the above, that Charlie Daniels is most famed for his classic The Devil Went Down to Georgia. In the song, Lucifer loses in a devilishly fine fiddlin’ finale. Here’s hoping he loses in Georgia one more time, and, quite literally, back to hell with him. And may all see through his lies, while there is still time.